Advice: The first steps - . :Early Learning Community:. It amazes me at the mass of parents on this site who are so eager to invest into the lives of there children. Growing up In the public school systems, my parents did there best to promote my sister and I to excell in school. We both made top grades, in public school grading scales. By paper we had 4.5s due to advanced placment classes. Unfotunitally it was a joke, and we discovered afterward in college how much a joke it was. Our teachers failed to really promote a quality education. Basic math, and grammer and even foriegn language was a sloppy, assembly line, get the kids through the system effort. Now I am a new mother. He 4 months today! I want soo much for my little man, as we all do. My husband and I are determined to provide our son with a love for and a quality learning experience. 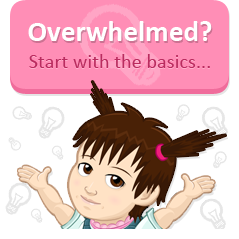 When we first got pregnant I discovered YBCR, and BrillKids forum. We have been working with YBCR, and a bit of Doman inspired flashcards, Ipad BITs, and Doman Math via IPAD. We also try to expose him to Signing Times, and music and physical sensory activities. We read constantly (atleast 3books). I sometimes feel as if we are not doing enough, the right amount, too much, or the doubts of will it work, how do i get family to help out, and whatif he is smart, how do we further future education, will my lack of knowledge ruin him, and how do I help him when hes in school? All these doubts terrify me, encourage me and motivate me to try and learn as much as I can to help my child to have all the tools he needs to run down the road of his full potential. Im asking you all, how did you start your journey? What methods are you using that might be useful? What things have you had success in? What do you think I should research? What advice would you give a new mom? Thank you sooo much for any help! I think that most parents (especially first-time parents) worry about whether they are doing everything to help their children reach their potential. My personal opinion is that young children simply need lots of love and attention and opportunities to explore their world in different ways (alongside their parents, as well as on their own). It sounds like you're doing exactly that! Reading books to young children is great, as well as participating in physical movement, music, and sensory activities. My advice is just to make sure that you don't try to cram in too many learning activities without giving your baby time to play and explore on his own. At 4 months old, I'd put my children on their tummies in front of a one or two open books or a series of objects, or give them a single toy to hold, and they would spend a lot of time just observing the details. As they got a bit older, they would continue to play with one toy at a time (or a small collection of objects) and I could really see them exploring it from all angles, trying new things. I think this type of time is just as valuable for learning as playing a game on the IPad or going through flashcards. I'm sure that with the love and devotion you're giving to your child, he will turn out great.